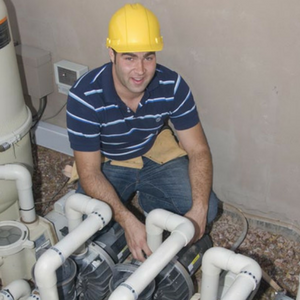 Most pool pumps consume a lot of energy during their operation which makes them costly to maintain. If you use this pump, worries about energy consumption will be a thing of the past as you stand to save up to ninety percent in costs when compared to traditional pumps which are not as efficient. To achieve this kind of efficiency, this pump has been designed with features that enhance its performance as discussed below. This pump allows you to decide on the kind of speed that you wish to use during operation. Given that there are times when your pool does not require much cleaning, you can use a low speed to clean the pool which will enable you to save on costs as opposed to using a pump whose speed cannot be altered. The speed settings can be programmed into eight different settings. The settings can be set using a built in timer which will allow the pump to run at the speed selected at optimum levels to ensure that energy is used efficiently to further contribute to your savings. The built in diagnostics enable you to tell just how much energy has been consumed during cleaning and they protect the pump so that it can serve your needs for a long time. For users of this pump, estimated savings per year stand at a whopping $1500 when compared to the traditional pumps which are known to consume a lot of energy. In achieving this figure, the estimates were based on a pump running at twelve hours a day at an average of sixteen cents per KW/h in a pool with a capacity of 20,000 gallons. 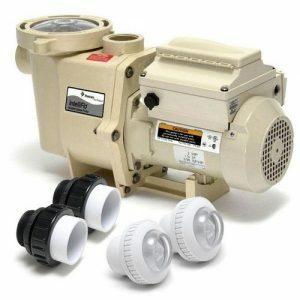 Though these figures may differ based on factors such as pool size, running time as well as the local utility rates, you will definitely save a lot in energy costs by using this pump. With the hydraulics used in the design, this pool pump can run efficiently with minimal noise. Compared to other pumps, the noise produced by this pump is about four times less what is produced by traditional pumps and it stands at about forty-five decibels low. You can program your preferred settings into the pump through the use of an integrated keypad. This enables you to effectively manage your pool cleanings and the keypad comes with the pump, making it cost effective. An LCD monitor is used to display energy and speed settings, allowing you to make changes as you please. The motor runs through the use of permanent magnets such as those used in hybrid cars and this makes it all the more effective. The controls in the pump allow you to match the speed of the motor to the needs of your pool. The filtration mechanisms used enables you to achieve high-quality water that is safe for swimming. The motor uses a fan for cooling which does away with the need for air vents and this protects the inner motor parts.